Over the last month of so, I've had a lot of questions from clients and friends who are facing varying degrees of resistance in their small business start up, finances, and relationships. They have a strong desire for something, want something, very much, yet, something keeps holding them back. In response to their seeking and searching for answers, I decided to do my own research into the cause of resistance with the hope of finding out what it is so I could offer them something tangible, something helpful along their journey. As with all things, their journey is my journey. 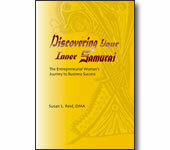 The answers I discovered for them were answers I discovered for myself. Resistance or Fear: What's the Difference? is a practical and interesting read. In addition, there are two other things I've read and heard, since then, that add value to the meaning of resistance. When hiccups occur, whenever there is a big new thing being birthed, some problem usually occurs that can feel like a knock back. You’re so excited about what’s being created, then you question it, “oh, is it not what I thought?” These hiccups that come at the birth of something are just a kind of birthing pain. And what often happens is that the birthing pain actually leads to something even better. Don’t get caught up in the hiccup. Don’t focus on it. Know that all is well. Sit back. Feel through it, and you will find your way through it to something better. What are your thoughts on dips, roadblocks, resistance, and hiccups? What have you found helpful on your way to birthing something new? Tags: accidental pren-her, alkamae, inner samurai, the dip, what's the difference? Perfect article in a couple of ways. For me it clarifies the value Lisa and I are benefitting from working with you as our biz coach. It clarifies we are not in fear mode (although I suspect we may have moments as we get closer to launching!) but rather moments of resistance. But that's why we hired you as our coach! It is clear that we needed guidance to create this business. So I suppose the most helpful thing when any of us run into these roadblocks, hiccups or dips is to learn to ask for help! As you know, this certainly resonates personally when our family faced a personal crisis. What got us moving in the right direction is knowing we needed to ask for help and seeing it as a sign of our strength rather than one of weakness. I'm forwarding this article off to a friend who I think will certainly benefit to discern the distinction between fear vs. resistance! Thanks for the insight in your article. Your post brings brings home the message--we are all in this together. When we have a hiccup, find ourselves in a dip, or are floundering in the midst of a personal crisis, the answer is . . . reach out. Reach out to a trusted friend, a professional, a coach. Just reach out. That's sometimes the hardest step, isn't it Carol? Knowing that it's okay to reach out and not go it alone. That's why you and Lisa are so successful in your Family on the Edge start-up. That's why you are such an example to others.